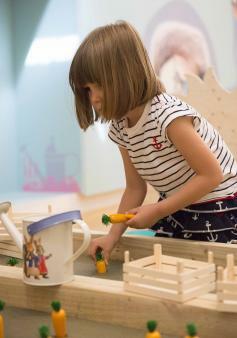 Mess about on the river at the family-friendly River & Rowing Museum and explore the many faces and functions of the River Thames. Our family testers loved their day communing with Mole, Ratty, Toad and some friendly local ducks. There is nothing half so much worth doing as simply messing about in the River & Rowing Museum, think Mary (5) and William (3). 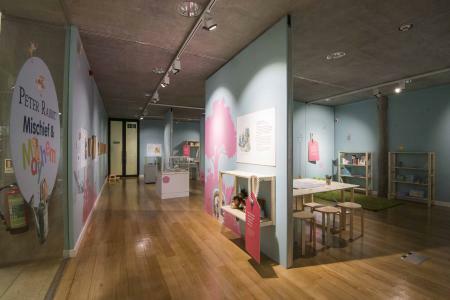 Located in the lovely town of Henley, it was recently shortlisted for the Kids in Museum Awards. There is plenty of space to move about in as it’s buggy-friendly; another bonus is this place is particularly good at providing pit-stops for small guests and their worn-out parents. Nestled on the banks of one of the most picturesque spots on the Thames, this unusual museum successfully combines nostalgic childhood storytelling with the history, geography, wildlife and sporting highlights of the River Thames. It’s good value; tickets last for 12 months. The award-winning building looks like a huge boathouse and visitors are welcomed in by a huge bronze statue of the world’s most successful Olympic rower, Steve Redgrave, who lives nearby. His medal-winning rowing partner Matthew Pinsent stands heroically alongside. William liked the river wildlife display and kept pointing to the enlarged pictures of ducks’ beaks and feet. When we fed the real ducks on the river afterwards, he remembered what he’d seen in the museum. Plus there’s a weekly under 5s club every Wednesday during term time. 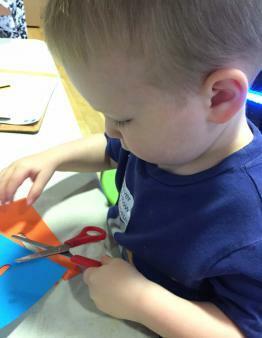 Explore the museum with free backpacks and trails, make a stop at the activity trolley (full of free colouring and crafts!) and don't forget to dress up in replica regatta costume. 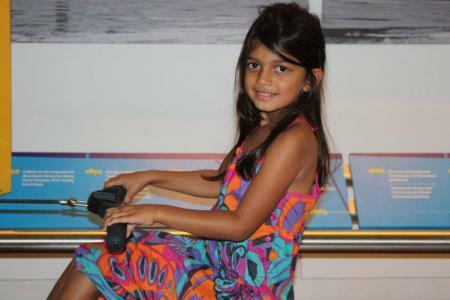 They will love seeing how it feels to row like an Olympian on an ergo machine at the Row Together interactive exhibit – both on their own and in a team with friends. Then compare today’s boating technology with a Greek trireme to see what life was like on the sea in ancient times. The permanent Wind in the Willows exhibition, beloved by all who see it. It’s impossible not to feel nostalgic about childhood as you meander past miniature and life-size figures of Mole, Ratty and Toad that bring Kenneth Grahame’s Edwardian stories to a new generation. There is an impressive variety of imaginative displays with 3D models, lights and music, beautifully and intricately made. There are plenty of half-term and holiday activities, from lantern-making for Diwali, giant-mask-making workshops, Viking Voyages afternoons and Halloween fun. In December join in the carol singing and magical seasonal gallery trail, with decoration-making and a best jumper competition. The buzzy Café has been recently refurbished and gets a big thumbs up from locals (you don’t need to go into the museum). Eat in or take some yummy sandwiches away for a perfect riverside picnic (you won’t want to waste any on the ducks). River & Rowing Museum, Mill Meadows, Henley on Thames, Oxon, RG9 1BF. It’s a short walk from Henley on Thames railway station with services from London Paddington. By road, it’s junction eight or nine from the M4. The museum is one of the few free places along the river to park. Or what better way to arrive than by the seasonal Salters Steamers boat rides from Reading and Marlow? Prices and opening hours: Adult: £12.50, child (4-16): £9.95. Open daily from 10am until 5pm. 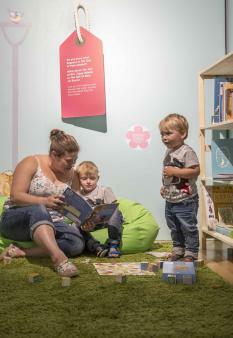 The tickets last for 12 months and include free entry to six family days each year. It had to be the illustrated hardback of The Wind in the Willows by Kenneth Grahame, £5.99. The museum has nearly 20,000 objects in its collection that you can feast your eyes on on the website, from 5,000 photographs to 400 posters and 650 trophies and medals. The medals from previous Olympic Games are really worth looking at, especially the eight-oared gold one from London 1908.